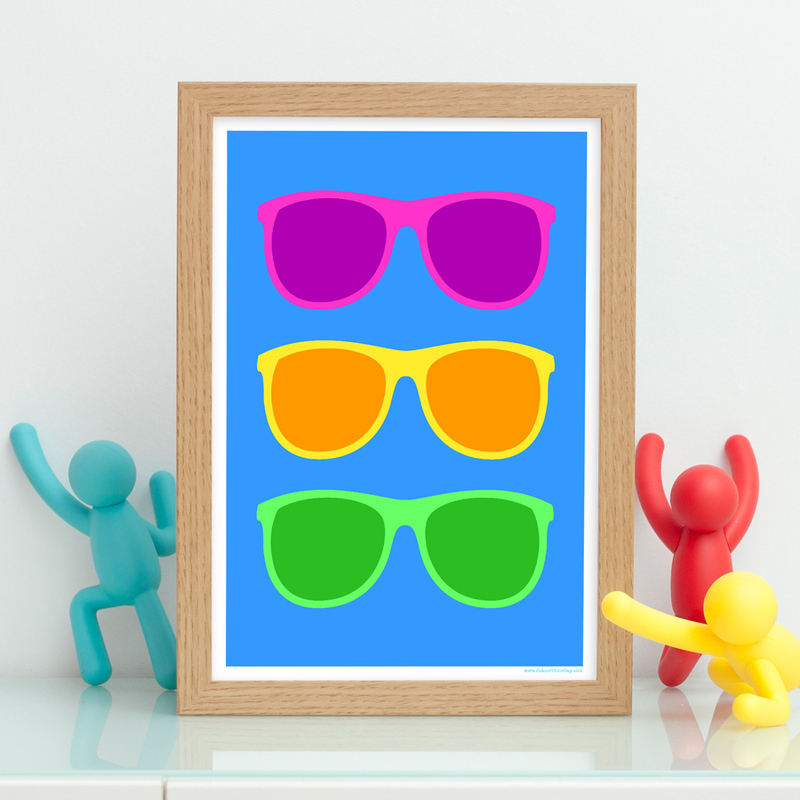 This cool sunglasses art print will make a funky, lively and cheerful addition to your home. A fun and colourful gift for someone you know, young or old, particularly if you think they are really cool. This print will definitely bring some colour to their day! The design shows three pairs of sunglasses; one pink, one yellow and one green, all placed against an electric blue background. The print is available in 7×5 inch unframed, 7×5 inch framed, A4 unframed, A4 framed and A3 unframed. Be the first to review “Cool Sunglasses Art Print” Click here to cancel reply.